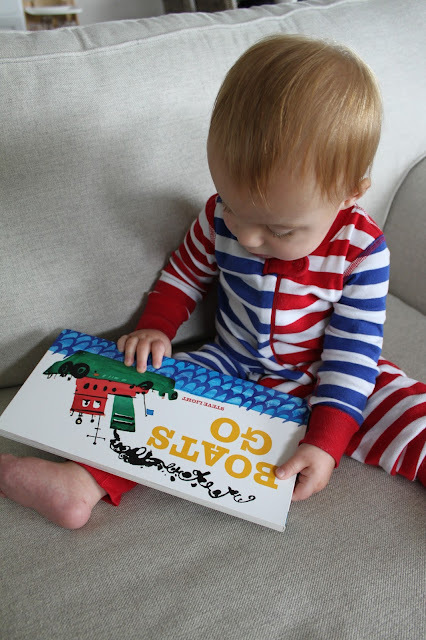 Pretty much since the first day we brought C home, we have been reading to him on a daily basis. Reading is part of our morning, nap time, and bedtime routine, and has often been part of C's playtime when I'm otherwise occupied with mundane tasks like laundry...cooking...cleaning...you know...all the things in life that still have to be accomplished even when we have an adorable little person in our lives that would probably rather be playing with us. Sigh... I've got to say though, when C gets a little too quiet in his room while I'm working in the kitchen and I go sneak a peak to find him intendedly studying a book about the Iowa Hawkeyes, or his mini book series about Rescue & Emergency Vehicles or Tractors & Farm Trucks, my heart does a little flutter. I do love him so! A good book has been known to calm a meltdown, ease the logistics of travel, and maybe even help C to learn a thing or two about the world he lives in! 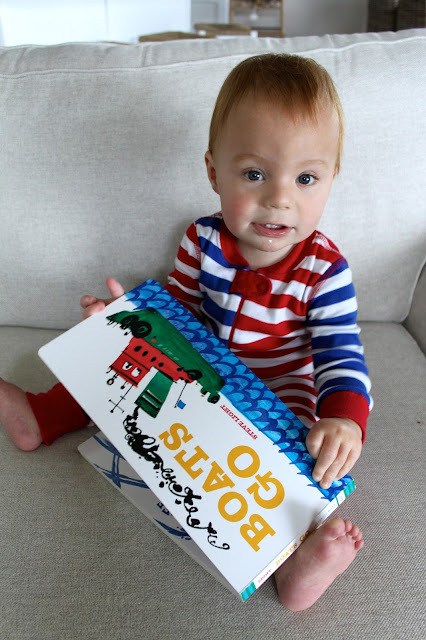 Over the summer, aside from one of C's favorites, An Okoboji Day, we read several books about boats...and tried to no avail to get C to actually say 'boat' as his first word. 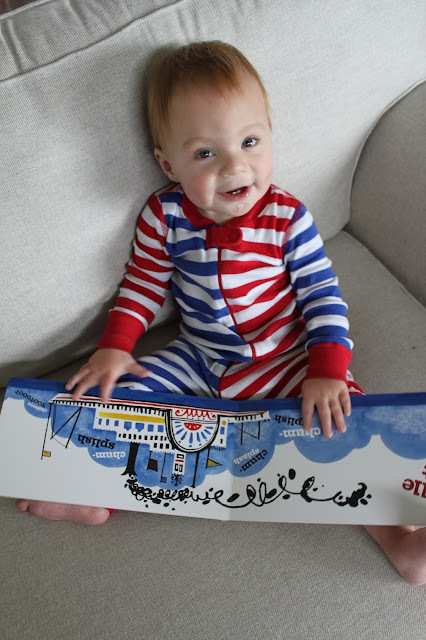 We're still waiting on that one, but we do know how to make all the sounds of various boats thanks to this book, and have recently been enjoying this bedtime story about a little tugboat who helps all the other boats in the harbor, but needs a few boats to help him when he is tired and ready for bed. 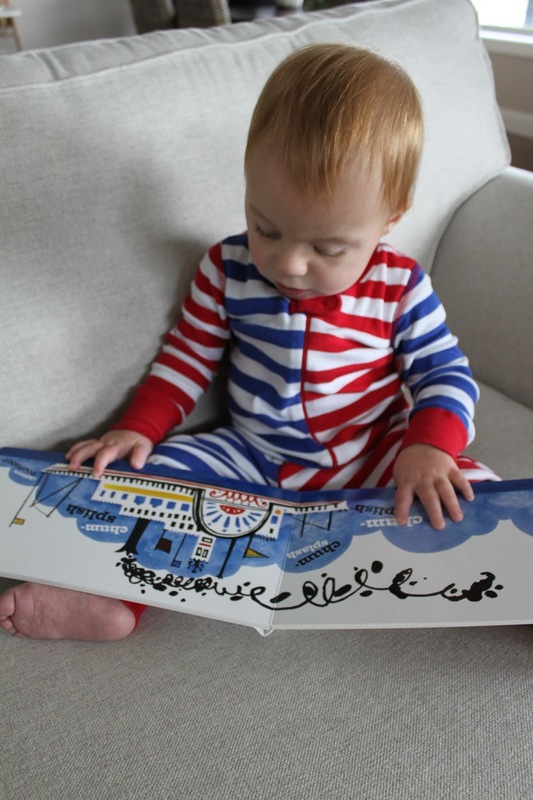 I can only hope that C's love of reading will continue as he grows older. 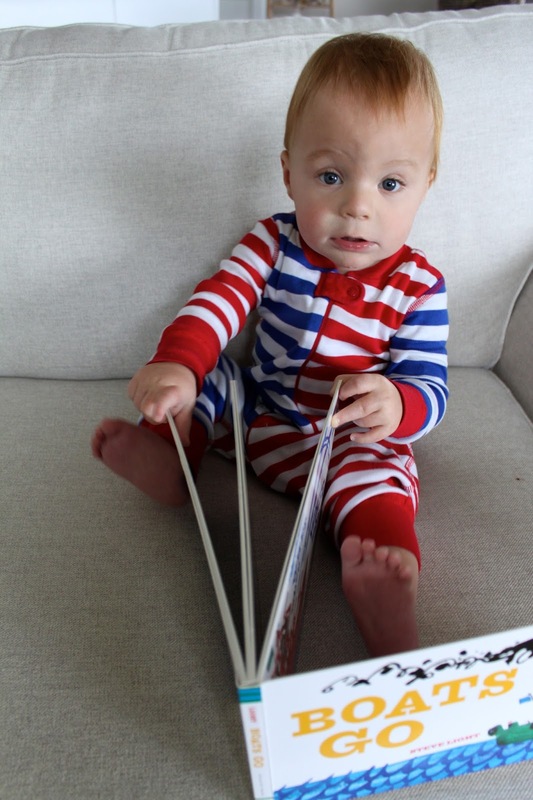 Maybe he won't love the same books that T & I loved as kids (ahem...Goosebumps), maybe he'll take a liking to comic books, magazines, the Harry Potter series, or maybe even books about how things work. 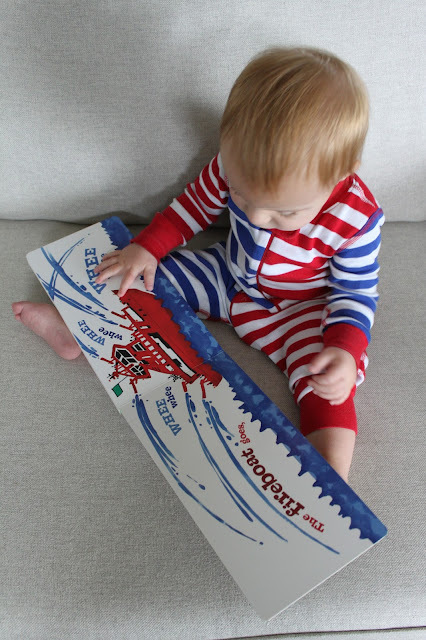 Whatever and wherever his interests may lie, I just hope that he'll always carve out time for reading and learning. There are just too many wonderful stories and things to learn about the world not to pick up a book and turn a page! Oh...In case anyone is wondering...I just finished All The Light We Cannot See, and The Life-Changing Magic of Tidying Up is waiting on my nightstand for my next read. To see what else is on my reading list, follow me on Goodreads!